Are you excited about testing out a whole new array of video games that you hadn’t played before? Are you unaware of the lengthy list of games that exists on this device? If yes, then you have come to the right place as we are going to share with you a list of some of the best, most interesting and enthralling games that you can play on your Nintendo Switch. Following is our list of the must play games on the Nintendo Switch that should get you started! Perhaps the most intriguing and highly anticipated game on the Switch was this one. Zelda, as we all know, is extremely popular among all Nintendo fans and this version of it does not fail to impress at all. Everything about the game is breath-taking and gives you more reason to absolutely fall in love with it. It is the best game to play on your Nintendo Switch and that is why it is number one on our list as well. The second game on our list is unarguably Super Mario Odyssey which is based on the widely popular Super Mario character which has created some great childhood memories for many of us. However, this game is a great addition to the series and brings some awesome gaming experience for its players. You should get it as soon as possible. 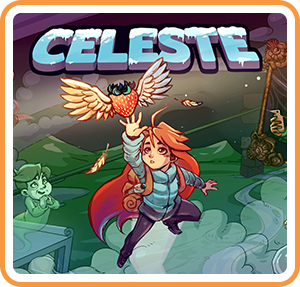 If you are a fan of 2D games, then Celeste is for you. It is an exciting game which brings simplicity and entertainment together which makes it a must-have game on the Nintendo Switch. It is basically about finding your way through a series of levels as you climb a mountain. The closer you get, the harder the challenges become. Another classic game which is packed with action and thrill. This game was originally for the Wii U but has now been released on the Switch as well with pretty much the same graphics and gameplay. Bayonetta 2 is an awesome hack-and-slash game which you should definitely have on your Nintendo Switch. If you are looking for something that is incredibly fun, has tremendous gameplay and is extremely addictive then you should try Mario Kart 8 Deluxe which is a huge improvement in all respects. The game has around forty-eight courses and forty-two characters to choose from. The tracks are new, adventurous and like never before. This one is for every gamer there is! There have not been such successful spin-offs or 3D versions so far on the Nintendo however, Sonic Mania trumps that trend to become a super-hit among fans. 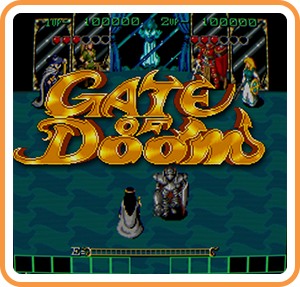 This version of the original 16-bit 2D game is one to cherish and enjoy. The game has been kept very similar to the original but still manages to deliver something different and unique for gamers to enjoy! 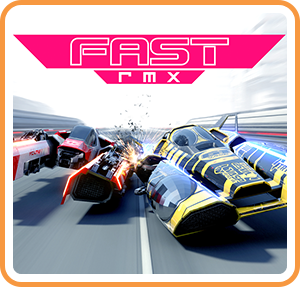 There are not many high-speed racing games on the Nintendo Switch as we would like but there is one that really stands out and that is Fast RMX. This game is everything the Switch needed and is probably the best high-speed racing games on the Switch as of now. It has good attractive graphics and exciting race tracks which make up for a great racing game. Doom is a deadly violent game on other platforms and consoles however the makers of this game have been kind enough to roll out a children-friendly version of the game on the Nintendo Switch. It has been widely welcomed by Nintendo gamers and that is why it makes it in our list of best Nintendo games. There are several other games that are also popular on the Nintendo Switch, however, due to obvious constraints we have kept our list limited to the ones that have been mentioned. If you have just bought the Nintendo Switch and are on the lookout for some crazy awesome games to play on it then you should definitely have these on your list next time you go shopping for your favorite games. Hope you love these games as much as we do!